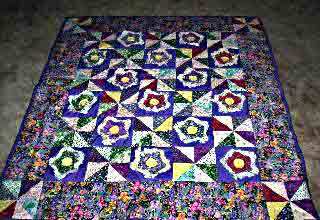 My finished "Mama's Flowerbed" quilt. Loved making this, I used the fabrics I had around the house from my stash. Your patterns are so easy to make, I enjoy them very much.